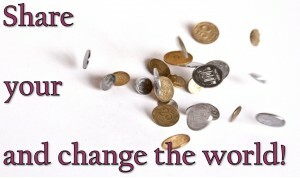 Share your coins and change the world! We invite you to partner with CrossClub Missions at Mountain View UMC to Change the World for women at The Oasis. The Oasis of Kingsport is a non-profit day center ministry that offers practical and individualized services by providing shower facilities, laundry facilities, sewing/cooking classes, devotions, and more. Through programs and services, The Oasis seeks to enhance the dignity of their guests and empower them to find their path to selfsufficiency. The coin bank fundraiser begins in April and the collection date will be Saturday, May 16th from 11-1pm. Each participating ministry is invited to bring the change they collected and enjoy activities (food, games, crafts) on Saturday as the children count and measure the offerings that God can use to Change the World for the women at The Oasis!